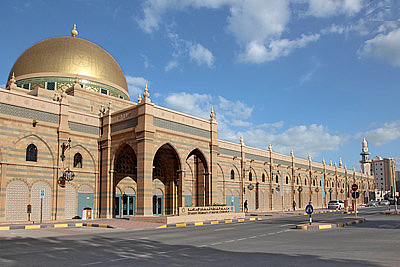 The first museum of this kind in the UAE. Highlights from the collection of 5,000 artefacts from the Islamic World are on display in spacious galleries. 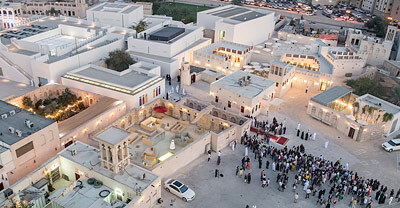 Dedicated to the preservation and presentation of Sharjah's cultural traditions. 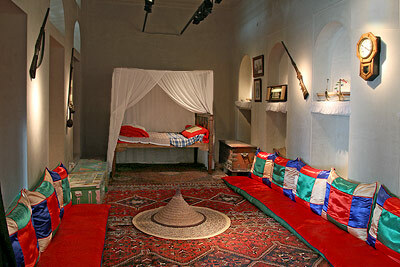 Housed in the historic Bait Saeed Al Taweel. 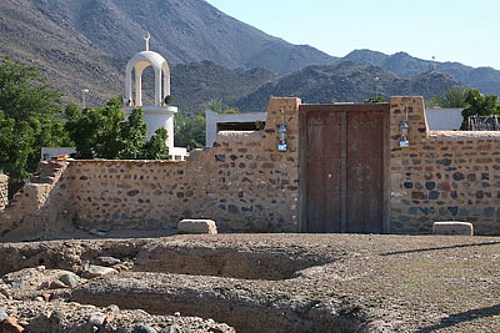 Former residence of the pearl trading Al Shamsi family, built in 1845. A marvelous example of traditional Gulf architecture. 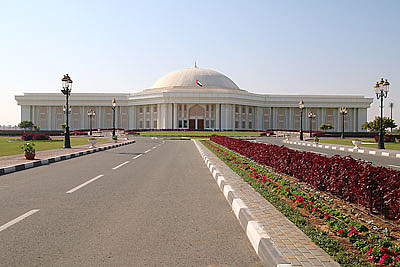 Established in 1935 as the first formal educational institute in the emirate of Sharjah. 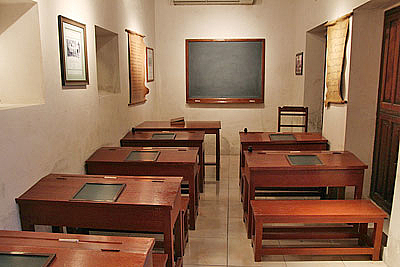 Restored rooms and documentation. 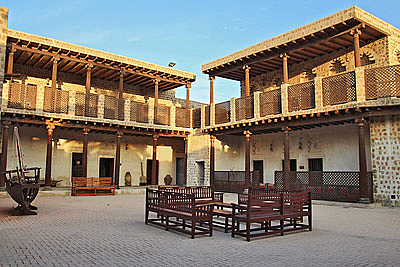 The Fort was built in 1820 as the residence of the Al Qasimi Ruling family. 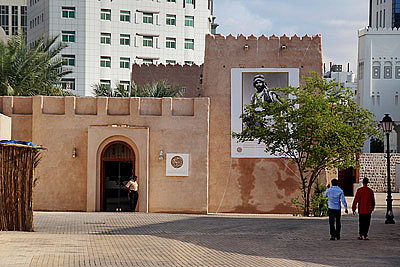 The museum is dedicated to the history of the Emirate and the Al Qasimi. 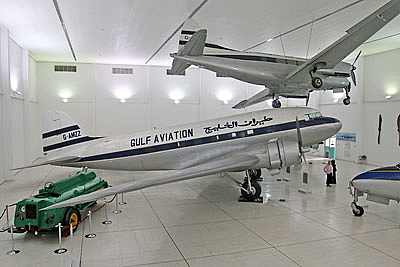 At the first airport in the UAE, opened in 1932 in Sharjah, used as a staging post for commercial flights en route from Britain to India. 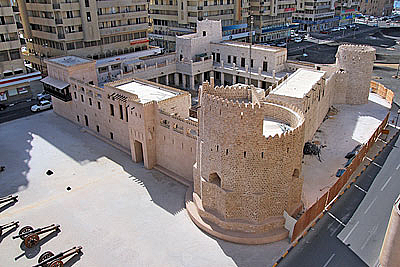 The ancient past of Sharjah and the region. Findings presented together with vivid information about the history and the places. 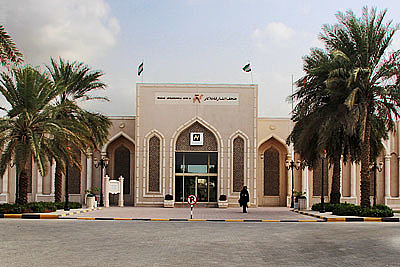 Dr. Sultan Al-Qasimi Centre for Gulf Studies displays a collection of historical maps, photographs, coins and documents. Archive Library with research resources. 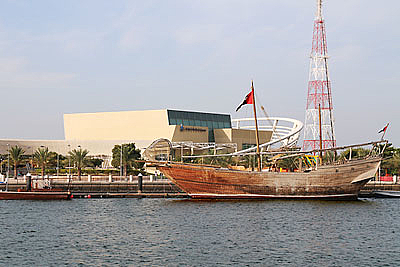 The history of the maritime life of the UAE, and specially Sharjah, including shipbuilding, pearl diving and pearl trade, navigational devices, etc. 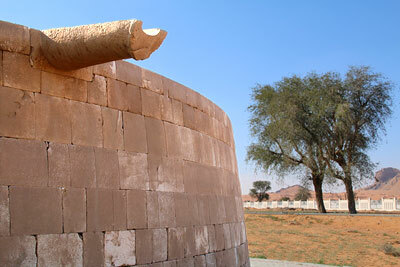 Extensive archaeological surveys have been carried out in the Emirate of Sharjah. The oldest finds date from 125,000 years ago.